Hello everyone, it's time to start making your wishlists for Polish Pickup! 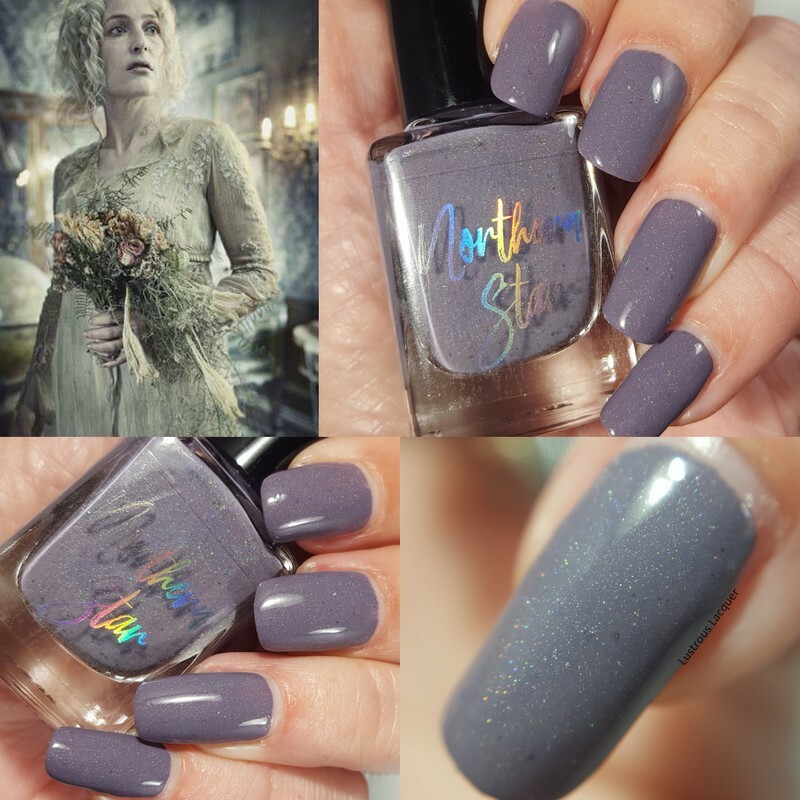 The theme for October is villans and today I will be sharing with you a polish that in my opinion needs to be on that list. 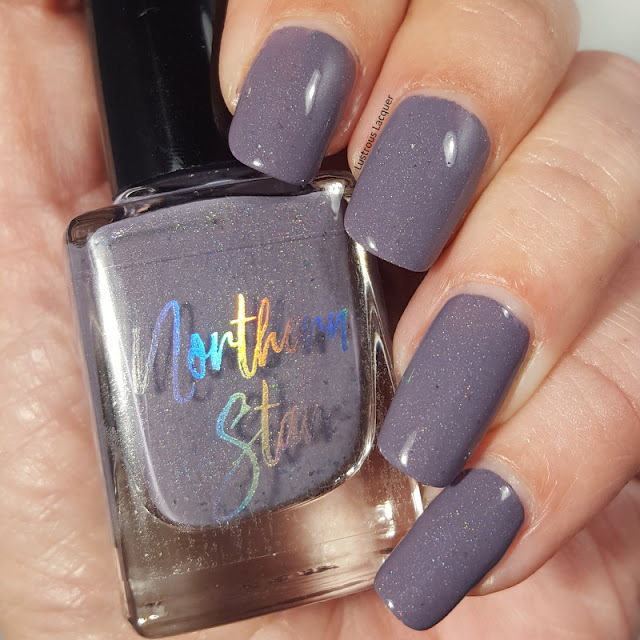 Shards of the Heart from Northern Star Polish. Read on to see why I am so pleased with this polish. For those of you who are unfamiliar with Polish Pickup here's a quick rundown of how it works. Polish Pickup offers a fun, interactive experience that allows you to submit theme ideas, vote for your favorite theme, and selectively purchase your favorite polishes every month. The shop opens at 11 AM ET on the first Friday - Monday of every month. In this case, that's Oct. 5th -8th at www.polishpickup.com. You can pick which polishes you would like to purchase from the previously chosen theme. There is no box commitment. Purchase one or purchase them all! Shipping in the US is $3, $5 in Canada, and does ship internationally. Allow 3+ weeks for delivery. So, in other words, this is a pre-order event. Shards of the Heart is a dark grey with lavender tint that looks like a creme indoors but contains two type of holographic pigments that sparkle in the sun. Subtle indigo micro flakes complete the polish. My lighting really accentuated the hint of purple but under regular lighting, you will see more grey coming through. You guys the formula on this is phenomenal! The polish has a great consistency and is very smooth but the awesome part is the opacity. I've been showing you one coat of polish plus top coat. that's right, this is one coat coverage. If you are in the habit of applying thin layers of polish you will probably need two but a regular layer will only require one. Shards of the Heart dries to a smooth, glossy finish that is slightly darker than what you see in the bottle. 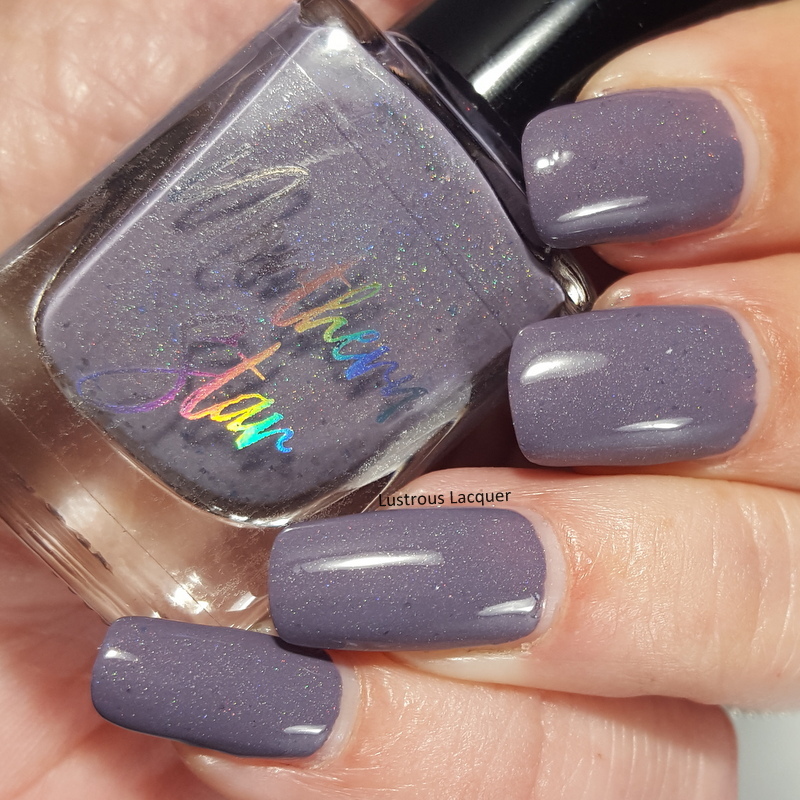 I have been drawn to grey polishes lately, the last three polishes I've worn have been grey and I purchased 5 more at Polishcon earlier this month. I think that the purple hint and subtle holo make this unique from the others and I am more than impressed with the opacity and coverage. The color is also great for the colder months that are soon to be upon us. Shards of the Heart will be $11.75 USD and is capped at 75 bottles. Make sure to check out Polish Pickup on Facebook and don't forget to make your purchases starting October 5th. Thanks for stopping by and Happy Polishing!